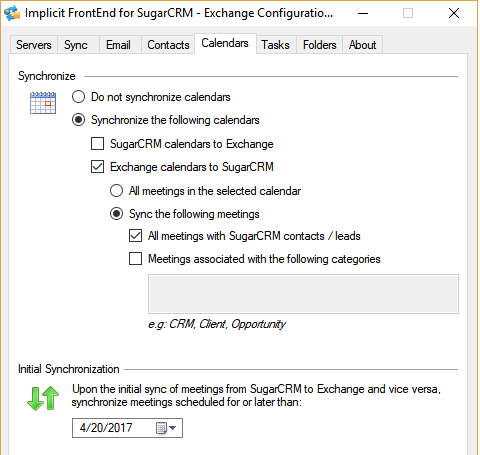 Scalable, Enterprise-Class solution for integrating SuiteCRM with Exchange / Office 365. Synchronize contacts, calendars and tasks. 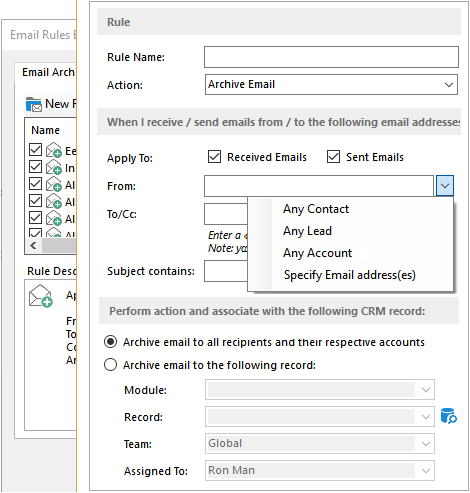 Set rules for auto-archiving of incoming/outgoing emails. 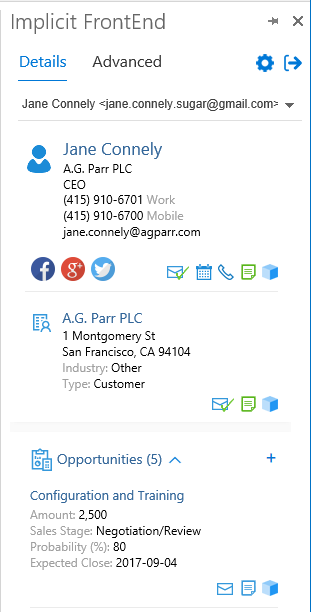 Combine (optional) with an Exchange / Office 365 add-on that presents an Email Side-Panel in Outlook and allows users to view, create and edit CRM records from within Outlook. Server-Side Integration. No Desktop Software to Deploy. 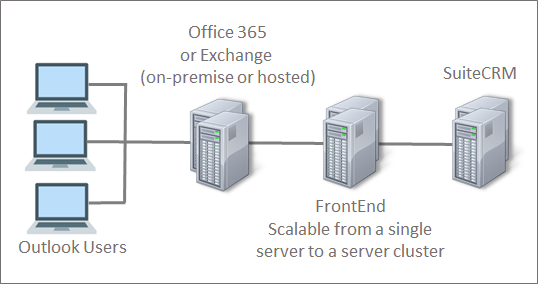 Supports on-premise or hosted Exchange and Office 365 Exchange online. Runs on an on-premise server.